Located along the north coast of Kauai, Haleleʻa today is commonly referred to as the Kauaʻi “north shore”, which today encompasses the communities of Kilauea, Kalihiwai, ‘Anini/Kalihikai, Princeville, Hanalei/Waiʻoli, Wainiha and Haʻena. Some suggest Hanalei ahupua‘a extended up onto the bluff to the east; others suggest Pupoa appears as the ahupua‘a in this area (between ʻAnini Beach to the east and Hanalei Bay to the west). In 1831, Richard Charlton, British Consul to the Hawaiian Islands, leased lands between Hanalei and Kalihiwai from Governor Kaikioewa of Kauai to be used as a cattle ranch. Charlton brought in longhorn cattle from “Norte California,” and by 1840 the herd numbered 100 head. Yet, beginning in the late-1840s, coffee production suffered. Flooding damaged the coffee crop in 1847, workers were lost to the California Gold Rush beginning in 1848, a severe drought struck in 1851 and epidemics killed Native Hawaiian laborers. In 1845, Charlton sold the ranch to the Dudoit family (later French consular agent). By this time, the number of cattle increased to an impressive 1800 head. The Dudoits salted beef locally to sell to whalers as well as shipped cattle to Honolulu for beef. In 1855, Robert Crichton Wyllie (a Scottish physician who served as foreign minister under Kamehameha IV and Kamehameha V) bought the Rhodes Coffee Plantation, which included 1700 acres in Hanalei. He continued to acquire land and in 1862 purchased the remaining ranch lands as well as Titcomb’s Hanalei Sugar Plantation. (PrincevilleRanch) Wyllie abandoned the entire coffee planting of Hanalei and planted the land in sugar cane. In 1860, Robert Crichton Wyllie, hosted his friends King Kamehameha IV, Queen Emma and their two-year-old son, Prince Albert at his plantation estate for several weeks. Albert Spencer Wilcox (1844-1919, son of eighth company of missionaries Abner Wilcox (1808-1869) and Lucy Eliza (Hart) Wilcox (1814-1869) was born in Hilo on Hawai‘i Island and grew up at Waiʻoli in Hanalei, Kauai. He worked with his brother George Norton Wilcox (1839-1933) in a sugarcane business in Hanalei, before working as the manager of Hanamāʻulu Plantation; for many years (1877-1898) he managed that section of Līhuʻe plantation. In 1892, Albert purchased an interest in the Princeville Plantation, and by 1899 had complete ownership; he sold the Princeville lands in June of 1916. Līhuʻe Plantation expanded in 1910 with the purchase of controlling interest in Makee Sugar Company. Expansion again occurred in 1916 when Līhuʻe Plantation and WF Sanborn purchased the 6,000-acre Princeville Plantation. Today, Princeville is a 2,000-acre resort and residential community along the sea cliffs between ʻAnini Beach to the east and Hanalei Bay to the west. On May 20, 1858, the king and queen were blessed with the birth of a son, Albert Edward Kauikeaouli Kaleiopapa a Kamehameha. He was named Albert Edward, after the husband of Queen Victoria of England, and Kauikeaouli Kaleiopapa, after his hānai grandfather Kamehameha III. He was an honorary member of the Fire Engine Company Number Four and was given his own red Company Number Four uniform. Alexander Liholiho and Emma had hoped to have Albert christened by a bishop of the Church of England. The prince became ill. As Albert became sick, and the bishop’s arrival was delayed; he was baptized on August 23, 1862 by Ephraim W. Clark, the American minister of Kawaiahaʻo Church. Queen Victoria of England had previously sent a silver christening vessel used at his christening. The British Queen and her husband, Prince Albert, were the godparents of the young prince. The actual cause of death is not known. Initially thought to have been “brain fever,” now called meningitis, today, some believe the prince may have died from appendicitis. Whatever the cause, the young prince suffered for ten days and the doctors could not help him. The King then ordered the construction of the Royal Mausoleum, Mauna ʻAla, in Nuʻuanu Valley to house his son’s body, since Pohukaina had become too full. The king became a recluse, suffering from asthma and depression. He died on St. Andrew’s Day, November 30, 1863, two months’ short of his 30th birthday. Following her son’s death and before her husband’s death, Emma was referred to as “Kaleleokalani”, or “flight of the heavenly one”. After her husband also died, it was changed into the plural form as “Kaleleonālani”, or the “flight of the heavenly ones”. Mauna ‘Ala (fragrant mountain) was completed in January 1864 and a State funeral was held for Kamehameha IV on February 3, 1864. Mauna ‘Ala is the resting place for many of Hawai‘i’s royalty. On October 19, 1865, the Royal Mausoleum chapel was completed. Emma ran unsuccessfully for the throne in 1874, losing to David Kalākaua. In 1883, Emma suffered the first of several small strokes and died two years later on April 25, 1885 at the age of 49. 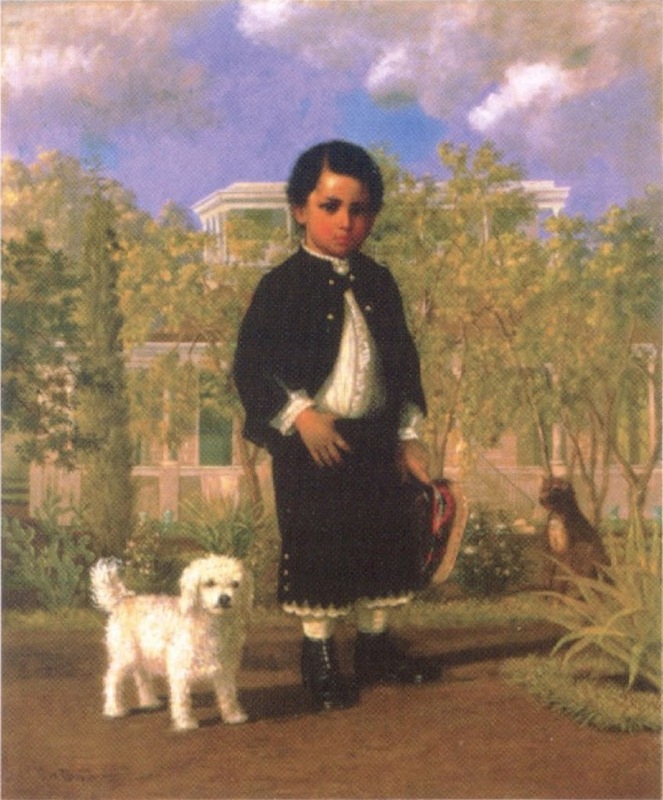 The image shows Prince Albert at age four. In addition, I have added related images in a folder of like name in the Photos section on my Facebook and Google+ pages. When we think of Russia’s interest in Hawai‘i, we initially (and, typically, only) think of “Russian Fort Elizabeth” in Waimea, Kaua‘i. However, Hawai‘i’s interactions with Russia go well beyond that, yet only short-lived. In the early-1800s, multiple foreign interests, including Russia, were developing trading relationships with Hawai‘i. Hawai‘i served as an important provisioning site for traders, whalers and others crossing the Pacific. The Russian story starts when three-masted Behring wrecked on the shores of Kaua‘i’s Waimea Bay early on the morning of January 31, 1815. The Behring had a load of seal skins/otter pelts bound for the Russian-American Trading Company in Sitka, Alaska. Schäffer first landed in Honolulu and, under the pretext of building a storehouse near Honolulu Harbor, began building a fort and raised the Russian flag. Kamehameha had him removed and Schäffer then voyaged to Kaua‘i. 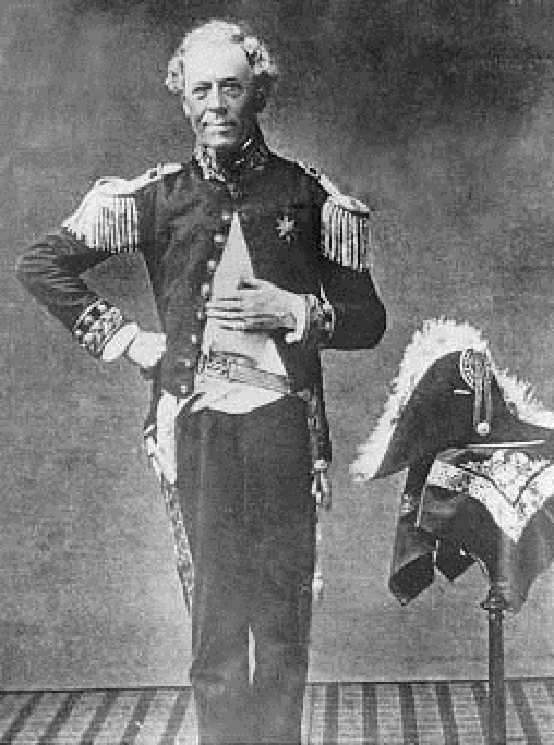 There, King Kaumuali‘i, who had ceded Kaua‘i to King Kamehameha I in 1810, had seized the Behring’s cargo and had the valuable pelts taken to his home in west Kaua‘i. On May 21, 1816, and without the knowledge or approval of Czar Alexander Pavlovich, Kaumuali‘i signed a document that put Kaua‘i under the protection of the Russian Empire. On July 1, 1816, Schäffer and Kaumuali‘i entered into a secret agreement to use Schäffer’s (purported) Russian authority to reclaim Kaua‘i from King Kamehameha I, and also to launch expeditions against other islands that Kaumuali‘i felt he had a hereditary right to rule. Kaumuali‘i had thoughts of conquering Maui, Lānaʻi, Moloka‘i and O‘ahu, which he felt to be his right based on lineage. Schäffer began work on two earthen fortresses in Hanalei: Fort Alexander (named after the Czar Alexander and built in what is now Princeville – by the valet parking at the Princeville Resort); and Fort Barclay, named for Russian general Barclay deTooly and built nearer to Hanalei River. 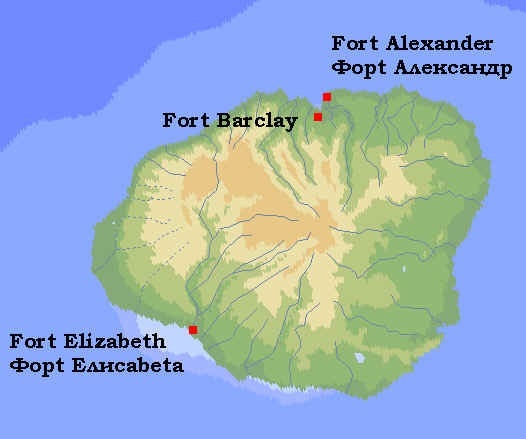 Unlike Waimea’s Fort Elizabeth (with massive stone walls,) Fort Alexander had low earthen walls. While the Waimea Fort bears the Russian name, reportedly, Schaffer’s main focus for the Russian-American Company was not Waimea, but Hanalei, and they spent most of their time around Princeville. Schäffer’s grandiose gestures were not confined to fort-building. He was also able to take possession of the ship Lydia and promptly gave the Lydia to Kaumuali‘i. Meanwhile, rumors of Schäffer’s activities had filtered back to the Czar’s court. On November 21, 1816, Lieutenant Otto von Kotzebue arrived in Hawai‘i on the Russian Navy brig Rurik. He repudiated Schäffer’s acts, informing King Kamehameha that Schäffer and Kaumuali‘i did not have the support of the Russian Emperor. On May 8, 1817 the Russians were expelled from Hawai‘i; some of Schäffer’s men left for Sitka and Schäffer was provided safe passage from the Hawaiian Islands. It wasn’t until August 1818 that all parties had agreed that Kaua‘i had indeed been abandoned by the Russian-American Company, and for a couple of years following that, efforts were still being made to recover from the damage done by Schäffer. An outline of the foundation of Fort Alexander may be seen on the lawn at the St. Regis Princeville Resort.